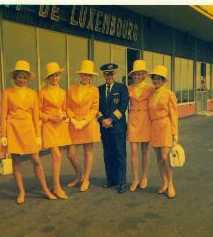 Major Norman Ricketts, Captain Jake Jacobs, Anneke Hoffman and Elisabeth Gustavsson welcoming Brigitte Bardot aboard, Luxembourg summer 1968. 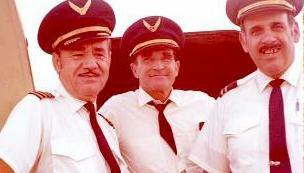 Nassau Station Manager Nick Mennon on the right. 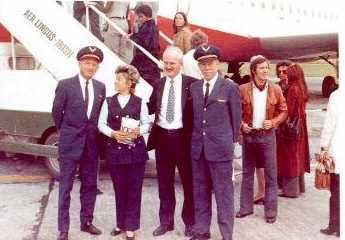 32 years ago Norman Ricketts was recognized as the only man in the world to found and operate two scheduled Atlantic Jet airlines. 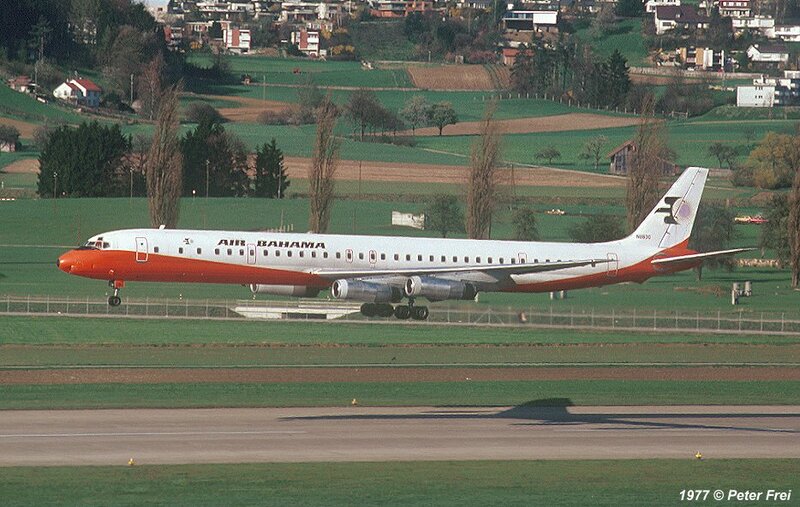 The first was International Air Bahama (Airline Code: IW and call sign: Airbahama) and the second International Caribbean Airways (Airline Code: IQ and call sign: Caribjet). 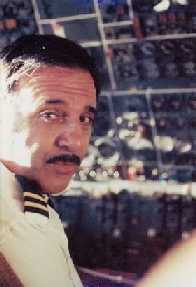 He negotiated the route rights himself and was the pioneer of the virtual airline concept. Small countries, like the Bahamas, owned air rights and could grant licenses. These could be of great economic benefit but the cost of forming and maintaining their own carrier was prohibitive. 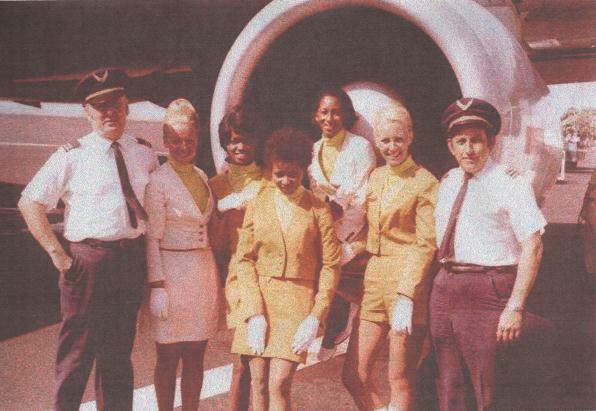 In 1966 Norman Ricketts pioneered a solution – the virtual airline – and so IAB was founded and licensed as a Bahamian International Air Carrier. The concept was the use of outsourcing to stabilize direct costs and ensure a swift start to reliable operations and a greater chance of achieving economic success. 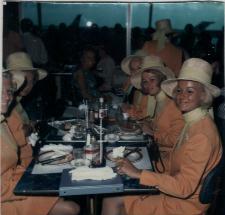 To adopt the idea it required the authorities in the Bahamas and elsewhere to accept this pioneering innovation. Now this is acceptable practice in world aviation circles. The start of IAB was very simple. In 1965 Sir Robert Neville, a General and the former Governor and Commander-in-Chief of the Bahamas, was visiting the Bahamas in the company of Norman Ricketts. The gentlemen had both served in the Royal Marines and were old friends. 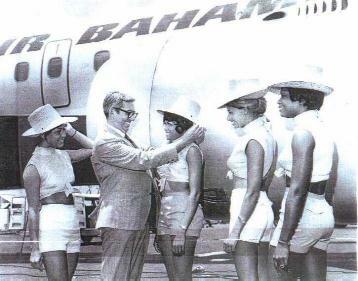 Sir Neville wanted to help the Bahamas´ tourism progress so he persuaded Norman Ricketts to start an airline with a direct line to Europe. So Norman Ricketts founded International Air Bahama – IAB. 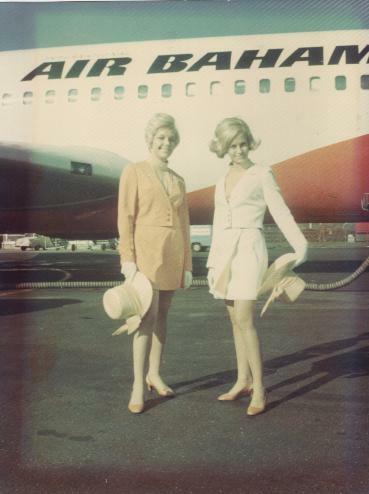 1965 - International Air Bahama formed as a company and Norman Ricketts became the sole owner. 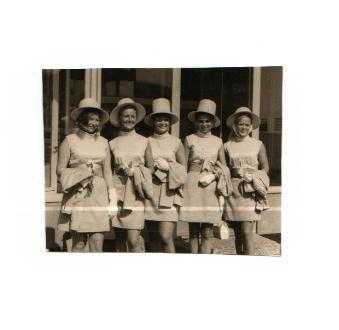 1966-7 - Licenses issued both by the Bahamas and Luxembourg to operate a scheduled service – Nassau – Luxembourg – Nassau. 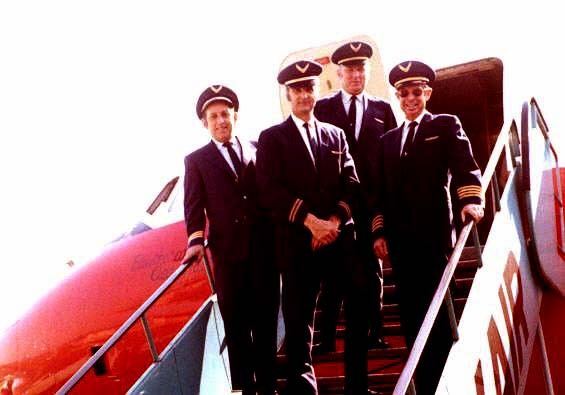 Norman Ricketts negotiated all the route rights with respective governments and from his private funds financed the purchase of a new DC-8 stretch aircraft from Douglas. Which was later changed into a lend – lease arrangement with Executive Jet Aviation using a new 707 – 320 c Boeing registered H525 and regulated by the US FAA (Federal Aviation Agency). 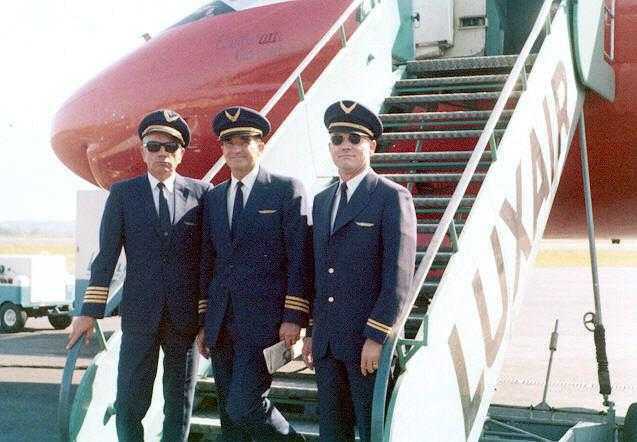 1968 - Agreement signed between International Air Bahama and Executive Jet Aviation to operate the route under a virtual undertaking which left all management under Norman Ricketts as Chairman and Chief Executive Officer. 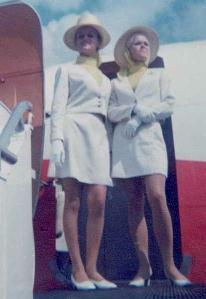 Inaugural flight from Luxembourg to Bahamas on July 21, 1968. Norman Ricketts owned all the shares in the controlling company. When he was ready with the structure in place he was approached by several contenders who wanted to engage with him in the airline venture. 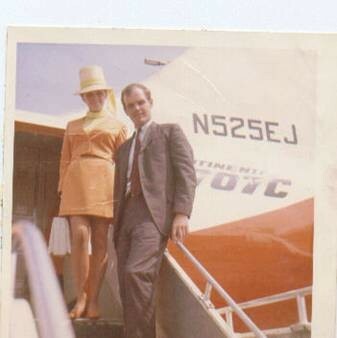 Among them was Steedman Hinckley of Overseas National Airways, a former US marine officer. Norman Ricketts, himself a British Royal Marines Commando Officer, then was approached by Executive Jet Aviation who made the best offer. Norman Ricketts was much taken with the Company Chairman, General Curtis Lesslays who once commanded the US Strategic Air Command and offered the finest air crews. Also Norman Ricketts struck up an excellent rapport with Major – General Perry Hoisington who ran Executive Jet Aviation in Switzerland. The actual agreement was signed in Zurich. 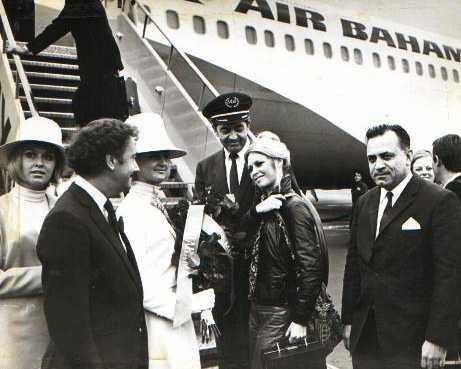 In 1970 Executive Jet Aviation fell faul of the agreement and Norman Ricketts took them to the Bahamas Supreme Court and an out of court settlement was reached. Both parties agreed to sell the airline to Hekla Holdings, an associate of Icelandic, who continued the service which had been obtained. 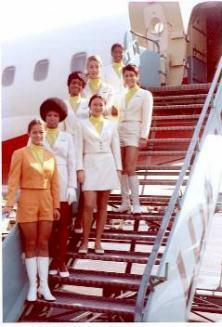 At the request of the Prime Minister of Barbados Norman Ricketts founded ICA – International Caribbean Airways which flew to London – Luxembourg – Montreal and Washington. 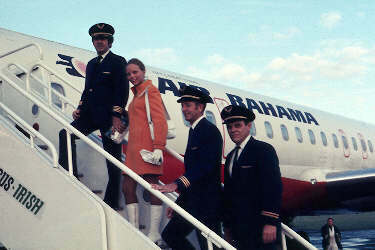 Chief Hostess Nettie Miller was provided to International Air Bahama by Executive Jet Aviation and Norman Ricketts sent her to Amsterdam and Sweden to recruit Cabin Staff for training by Aer Lingus in Dublin.